The Armenian lavash is finally included in the UNESCO list of intangible cultural heritage: still in 2013, the application presented by Armenia passed all the necessary stages, inspections and tests, receiving a positive conclusion. The decision was made on November 26, at the 9th session of the intergovernmental committee of the convention on the protection of UNESCO intangible cultural heritage, which was held in Paris. Thus, according to the Ministry of Culture, the list of UNESCO intangible cultural heritage is completed by another cultural value of Armenia, which is the fourth one. The application was prepared by the Institute of Archaeology and Ethnography of the National Academy of Sciences of Armenia, RA Ministry of Culture and UNESCO National committee of Armenia. In the ancient times, particularly in the countries of the Armenian Highlands, in order to have fresh bread for a long time, there was created lavash. The idea was that the ordinary bread after being baked could be used for a very short period. And lavash can be kept for a long period and it will not be spoiled. In order to prepare lavash made of flour, warm water, khash (traditional Armenian yeast) and salt, the dough is kneaded and put in a warm place for kneading. After kneading is finished, the dough is divided into 300-400 gram balls and with a rolling-pin is rolled into long and wide leaflets of 3-4mm thickness. While baking lavash, at first the ball is rolled, then by putting it from one hand to another in the air, it is stretched, extended and after that it is opened. In case lavash is dry, they spray water on it and then it softens and is again ready for usage. 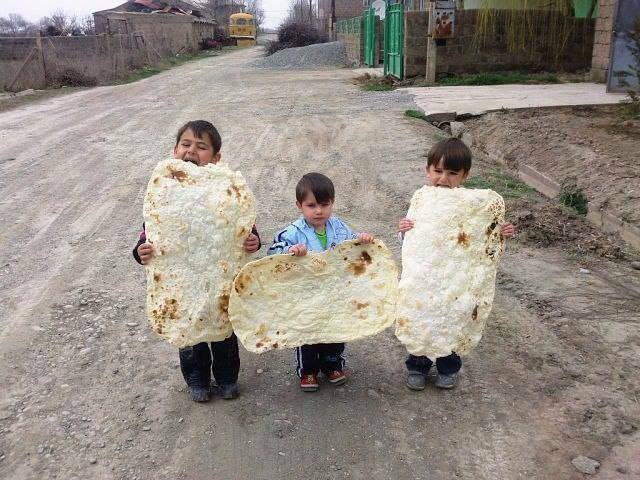 Lavash is the main bread of Armenians. It is mainly spread in Armenia, Iran, Georgia, Azerbaijan, Turkey and other Caucasian and Eastern countries. “Kaxardakan Lavash /The Magical Lavash/”.